We design, produce and install... French Oak, Blackbutt, Spotted Gum & Jarrah timber and Bamboo flooring across Western Australia. All Bamboozle flooring is constructed as a multi-layered board comprised of 3 layers of the same timber . By cross layering the product we can produce wider and longer boards whilst ensuring our flooring is environmentally sustainable, beautiful and great value. Our bamboo floors come with a lifetime warranty. Access Timber Flooring is an independently owned & operated business that specialises in the supply & installation of solid timber & parquetry flooring. We have been established for over 15 years and pride ourselves in the service and quality of work we can provide to our clients. We provide a full service from design, supply and installation and we service both the residential and commercial markets. 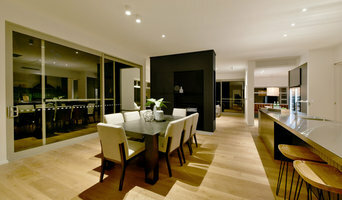 We look forward to the opportunity to provide a stunning timber floor for your home or business. 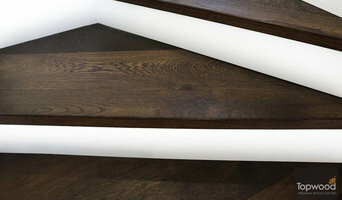 Stepfast flooring is ranked amid the leading importers and suppliers of premium quality flooring. We act as a warehouse direct sale company located in Wangara, Perth that offers a large range of flooring types and finishes with the same quality. Along with this we supply our products to residential and commercial builders, renovators, home owners and DIY renovators. Our products range includes: laminate flooring, engineered flooring, compressed bamboo flooring, compressed wood flooring, prefinished solid wood flooring, PVC ceilings and artificial turf. Along with the flooring options we supply matching flooring accessories that include: floor underlays, splay beads, scotias and glues. Our Wangara showroom has a display of over 20 different colours and selections in a variety of finishes which allow you to select the right product for your dream project. Quality Service, Quality Products, Quality Craftsmanship Choose - Octagon Timber Flooring. We strive for excellence in every aspect of work we do - whether you're discussing flooring options in our Showroom, or having timber installed by our own Installation Crew, or you have concerns after the project - we strive to provide the best service and craftsmanship in Perth! We guarantee the satisfaction of all our Clients! How? We have our own installation teams - all hand-picked by Tony the director. Tony's worked as an installer since 2005, and still does installations on many of our projects. He's got high-standards and expectations, which trickles down to the rest of the team! With all our products backed with manufacturer's warranties, and Octagon Timber's Installation Guarantee - we guarantee you'll be happy you chose Octagon Timber Flooring! Octagon Timber Flooring are a flooring supplier and installation company. We supply and install the highest quality timber floors - all of our products and installation craftsmanship are guaranteed - guaranteed to satisfy even the most discriminating client. Carpet Cleaning Perth!! The no.1 company-Go Cleaners!! We perform same-day carpet cleaning services in commercial or residential areas. We offer Carpet Stain Removal, Carpet Cleaning Perth, Steam Carpet Cleaning Services, Emergency Carpet Cleaning, Dry Carpet Cleaning and many more services. We always try to give 100% customers satisfaction to our clients with our professional cleaning services. Our carpet cleaners are hard-working and proficient. Besides the maintenance of best carpet cleaning solutions and exceptional carpet cleaning procedure, our team never fail to give you the required results for carpet cleaning. Just need to call us today on +61 0414 354 432 today and we are available for you on weekends also. Experienced flooring retailers will know as much as an installer for what product is right for your East Perth home. From hardwood floors to vinyl flooring and carpet, there are nearly as many surfaces to walk on as there are home styles to build. A pro can help to ensure that your East Perth, Western Australia home’s floors start off and stay in top form. Your carpeting and flooring professional might work closely with Western Australia contractors, interior designers and others in the home building and home improvement `industry. 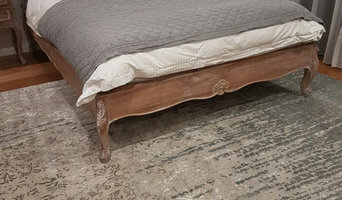 Here are some related professionals and vendors to complement the work of carpet suppliers: Interior Designers & Decorators, Design & Construction Firms, Specialty Contractors, Building Project Managers, Home Builders. Hire a Flooring Installation Contractor if your floor troubles are beyond the rug solution. From timber flooring to a laminate flooring installation, a specialist will take care of your sanding, polishing and floor covering needs. Look for a Flooring Installation contractor in East Perth based on past work and referrals - all available on Houzz. Find a carpeting and flooring professional on Houzz. Narrow your search in the Professionals section of the website to East Perth, Western Australia carpeting and flooring. 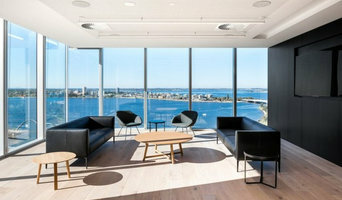 You can also look through East Perth, Western Australia photos to find examples of carpeting and flooring that you like, then contact the professional who worked on them.